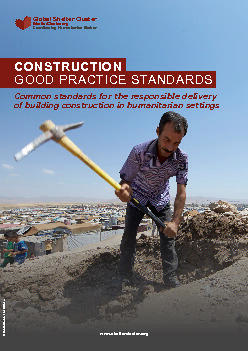 Construction quality in humanitarian crises, protracted crises and on-going development programs is often subject to weak building regulations in countries that have poorly developed frameworks. This project aims to develop a harmonised set of non-technical standards for construction processes that can be adopted in any context, and that will inform a consistent position on construction due diligence that agencies can commit to. This WG is led by Save the Children.